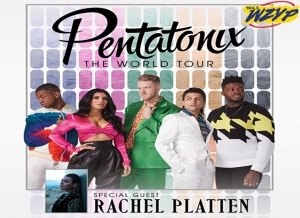 ZYP Has Your Tickets To Pentatonix – May 25th At The VBC! Another big show coming to the VBC, and ZYP has your tickets – Celebrate Memorial Day Weekend with Pentatonix on Saturday night, May 25th at the VBC! Tickets go on Friday at 12 noon – CLICK HERE for more info and listen for your chance to win tickets with ZYP!